There are two points of reference to understand when reviewing how young workers are doing. The first point is that young people are far less likely to work now than in prior business cycles. It’s common to hear older baby boomers talk about how they worked at a very young age. Some equate young people working less as a form of laziness. However, the reality is young people are more focused on school because of the changing labor market. A college diploma is a prerequisite for a much higher percentage of jobs now than it was back when baby boomers were young. Unfortunately, this change has led to a surge in student debt to all-time highs. The goods news is the labor market is more educated. The bad news is student loans prevent people from spending money and forming households. Specifically, the labor force participation ratio for Americans ages 16 to 19 is 35.6%. That is in the middle of this cycle’s range which has varied from 32.5% to 37.7%. From 1972 to 2001, this participation rate never fell below 50%. 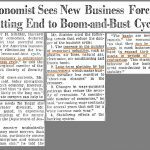 Going back to 1948, before this cycle the record low was 43% in 1965. The historical change in the participation rate for workers between 20 and 24 years old is similar, but less pronounced. The current participation rate is 70.6%. That’s near the low end of this cycle’s range. 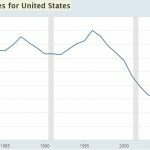 From 1977 to 2004, the yearly average never fell below 75%. In summary, young people are working less. The fact that young people become independent at an older age means it is more expensive to raise kids. This could lower the birth rate. 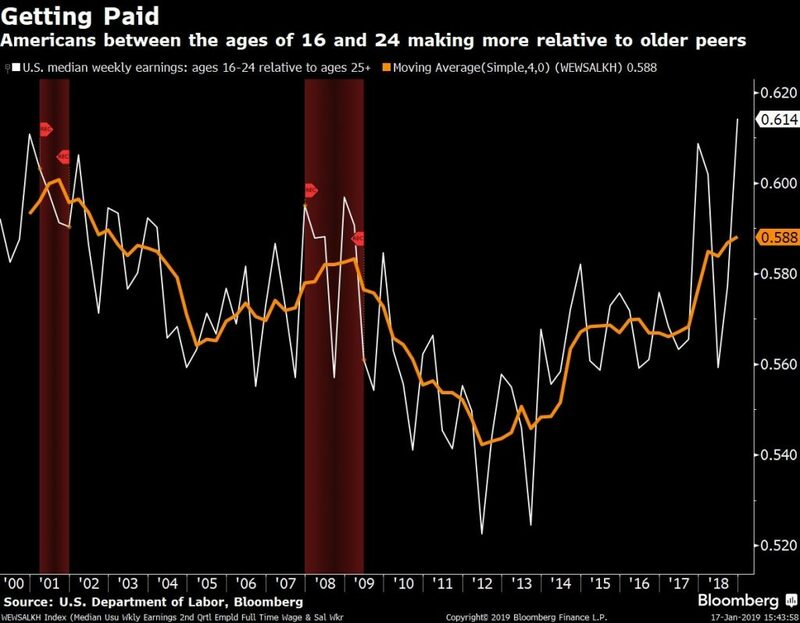 The second point to understanding how young workers are doing is to look at the wage growth for production and non-supervisory workers because teenagers don’t have college degrees. 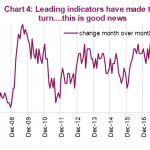 Nominal growth for non-supervisory workers hit 3.3% in December which is the cycle high. It’s great to be a worker without a college degree at the end of cycles. As you can see from the chart below, median weekly earnings of young people has hit the highest level since 2002 relative to their older counterparts. Americans ages 16 to 24 working full-time make $549 per week which is 58.8% of what people 25 and older make. 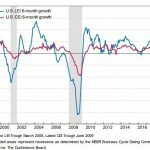 This increase has been caused by the tight labor market. The chart below shows how young people do well at the end of the cycle. The negative aspect to this is what we mentioned earlier: fewer young people are working so less are seeing these gains. It’s possible that this wage growth will encourage some young people to avoid college. College is getting more expensive. The opportunity cost of going to college increases when wage growth for people without a degree increases. On the other hand, maybe if young people get paid more, they can better save for college. 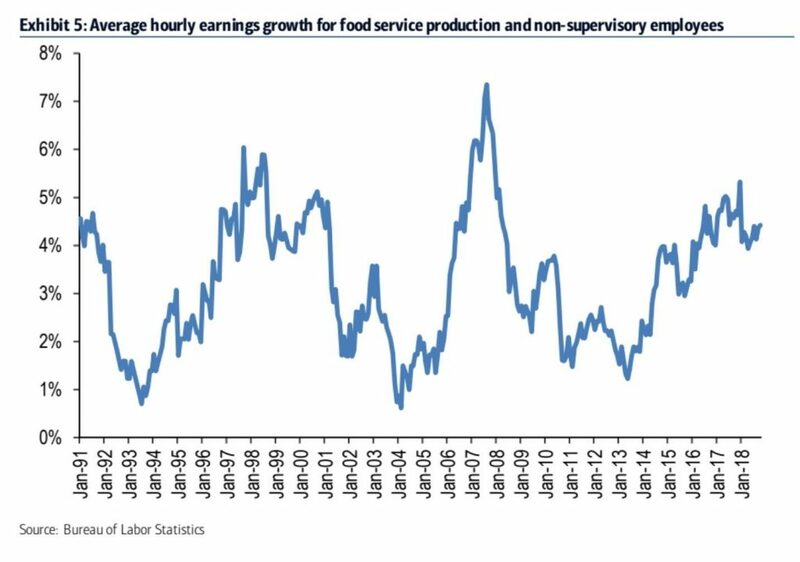 The wage growth for non-supervisory production workers in the food service industry follows the trend we have been discussing in this article. Food service jobs are low skilled jobs that have accelerated wage growth at the end of the cycle. Their wage growth catches up to other industries. These are the jobs young people are getting. If the Fed holds off on rate hikes for a little bit longer, thus prolonging the cycle, those in the lower class can finally see their finances improve as a function of improving wage growth and low inflation. This cycle has been great to workers without a high school diploma as their employment to population ratio hit a record high. The length of this expansion has allowed people who haven’t been in the labor market for years to come back into the labor force. Low inflation has helped real wage growth recently. As you can see from the chart below, in 2018 people with incomes below $20,000 per year had the highest retail sales growth excluding autos and gas. The 2nd best category is workers who made $20,000 to $50,000. While this is encouraging from an income inequality perspective, this spending and perceived wealth may not last for long if the cycle ends. Some of the after-tax wage growth in 2018 came because of the tax cuts which were enacted last year. As you can see from the chart on the left, after tax payroll growth accelerated as soon as 2018 started. It peaked at the end of the year above 6%. As you can see from the chart on the right, most people planned to use the extra money from the tax cut to save or pay down their debt. The consumer isn’t leveraged this cycle like they were in the last cycle even with the record student and credit card debt. This helped them further avoid leverage. Wage inflation hurts businesses’ margins as wages are a major cost. The chart on the left shows the sectors in the S&P 500 that are the most labor intensive. Consumer discretionary firms employ 4.1 people per million dollars in sales. That means their costs increase the most because of wage growth. (Keep in mind wage growth also increases sales.) The chart on the right shows consumer discretionary gross margins are at a record high. Wage growth could end that uptrend. The chart above on the right shows S&P 500 gross margins are very high. The chart below explains why. Real sales in relation to employees has grown in the past few decades. It has risen in the past few years to near a record high. The AI revolution should accelerate this improvement, increasing gross margins further. The best case scenario is for workers to continue to get educated, whether through traditional institutions such as universities or through experience and vocationally depending on career choice, and for businesses to continue to invest in technologies that increase the amount of sales (productivity) they can generate from each employee. It doesn’t have to be businesses versus the worker. Both can prosper. 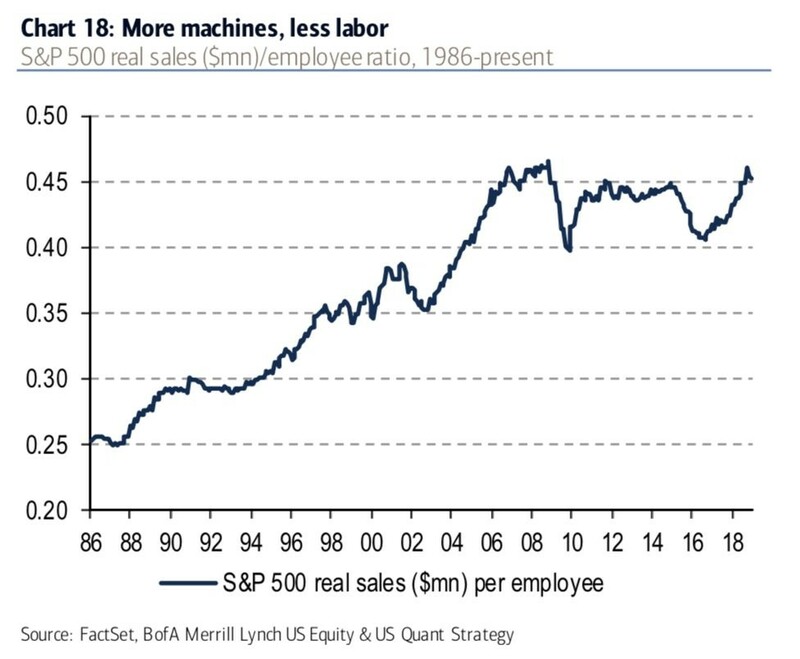 As we’ve seen late in this business cycle, there is currently high real wage growth and high margins. This could change in the short run, but in the long run everyone can do well. 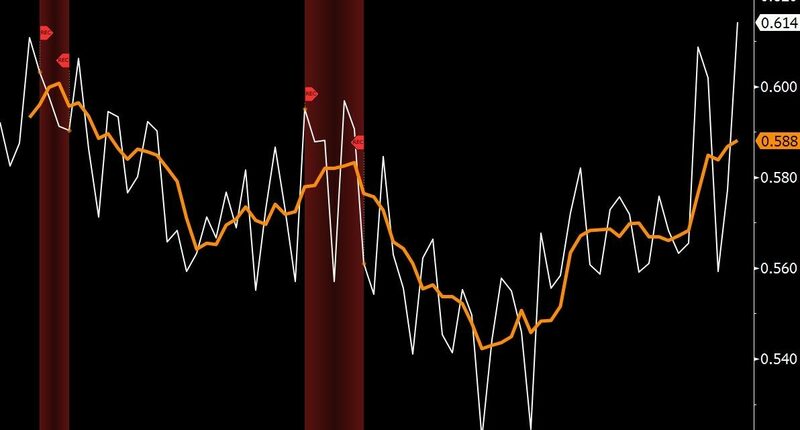 Technology lowers inflation, which helps real wage growth and standard of living.